Commercial aviation as we know it today owes a lot to Ellen Church—America’s first stewardess and the woman who contributed to creating the very first flight safety regulations. Back in the early 1930s, these were not easy tasks. So how did Church do it? Church, a native of Cresco, Iowa, was a go-getter from the start, earning her degree in nursing while getting her pilot’s license. After getting her nursing degree, Church was assigned to a hospital in San Francisco, where she started seeing classified ads from the Boeing Company looking for pilots. She applied several times, but her flying skills were no match for the obstacle of gender discrimination. However, with each interview, Church met with progressively higher-level executives. 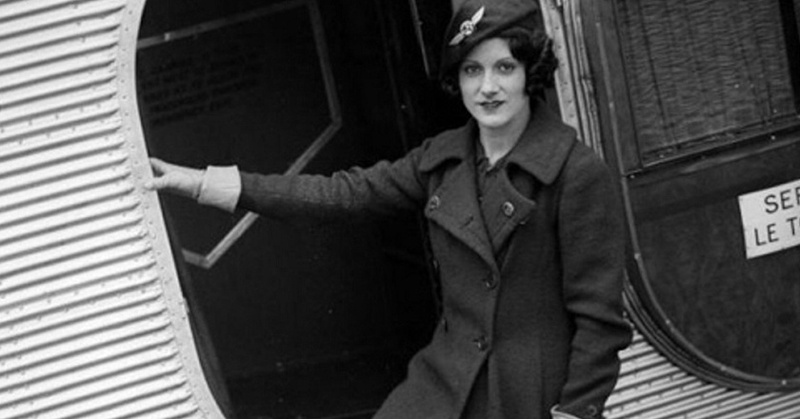 In 1928, she finally scored a meeting with Boeing VP Steve Stimson and threw him a curveball: instead of interviewing for a job as a pilot, she delivered a presentation about the role of women in aviation. Using Katharine Wright--sister to Orville and Wilbur who flew with the publicly--as an example, Church showed that when women are on board an aircraft, the general public develops a more trusting view of flight. Church proposed that Boeing put her on its flights as a nurse to care for passengers while serving as the trustworthy public face of commercial aviation. This struck a chord with Stimson, who knew that Boeing’s current approach to attracting customers wasn’t working. Boeing needed to show potential passengers that its flights were safe and accessible in order to fill seats on its airmail routes. Church was hired as America’s first stewardess (there had been male stewards for years) and earned a higher salary than her male pilot counterparts; but, she also did more work. For $125 a month, Church loaded and unloaded luggage and mail packages; greeted passengers and cared for them during episodes of motion sickness; maintained and fueled the plane; and, because she knew how to fly, served as the back-up pilot in case of an emergency. After a few flights Church realized that passengers could mistake the cabin door that leads to a 12,000-foot drop with the door that leads to the restroom because they both had the same knobs. So, in addition to completing her many tasks, Church found time to invent the jump-seat, that extra seat that folds down on the main cabin door to ensure that passengers safely navigate around the cabin. Church’s idea of putting women on board commercial flights was such a success that Boeing had to hire more flight attendants who met very specific requirements, set by Church herself. The women had to be between 5’4” and 5’8”; less than 25 years old; single; and, weigh no more than 115 lbs. Most importantly, the candidates had to complete flight training and acclimate easily to the air mail route’s continuous changes in altitude. Seven women completed the program. Along with Church, they flew in the Boeing 80-A until 1932, when it was replaced with the B-247, a fast, all-metal airliner that was much more comfortable than its predecessor. The memory of the Great Eight, and Church’s legacy, can be found on the nose of the very first Boeing 747, where each woman signed her name. Want to see the Boeing 80-A that Ellen Church flew in?